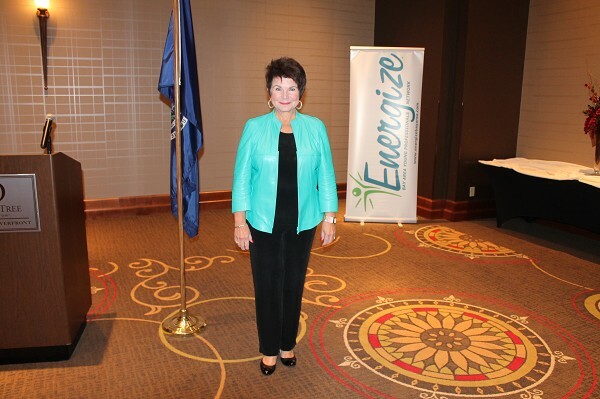 Renowned speaker, Mary Jane Mapes provided an informative and entertaining presentation at the recent Energize luncheon held Spetember 23, 2015 at the Doubletree, located in Downtown Bay City, MI. The sold out room gathered tips about dealing with difficult relationships in the workplace and beyond with the 'You Can Teach a P.I.G. To Sing' theme of the the presentation. To become involved with future Energize Young Professional Network events, contact the Bay Area Chamber of Commerce at: (989) 893-4567.